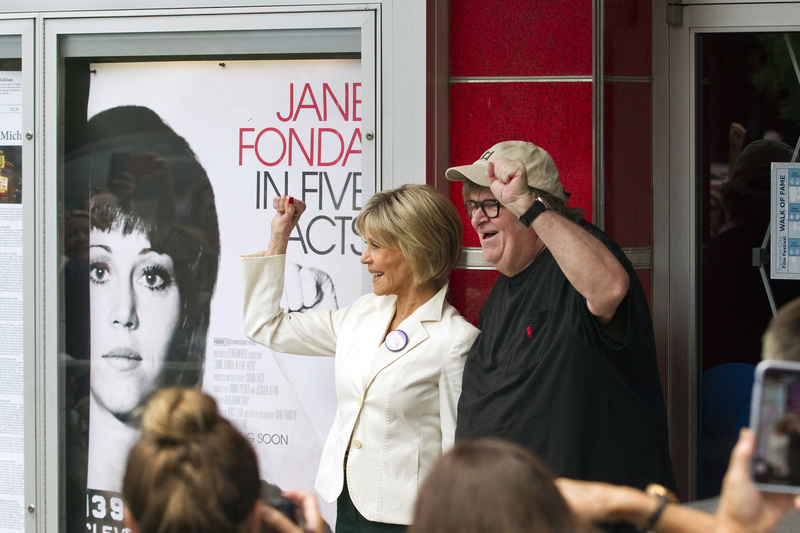 The actress, author and political activist accepted the award Wednesday at the 14th annual Traverse City Film Festival, where she screened her HBO documentary “Jane Fonda in Five Acts.” Fonda also held a panel discussion with Moore in which she discussed gender equality, her concerns about President Donald Trump’s administration and her activism. Dozens of Vietnam War veterans protested the festival over Fonda’s anti-war activism in the 1970s. The actress drew heavy criticism after she was photographed atop an anti-aircraft gun during a controversial 1972 visit to North Vietnam. Traverse City veteran John Milks served with the Marine Corps in Vietnam from 1968-1969. Fonda acknowledged making a “terrible mistake” by posing for the photo and has expressed regret over the message it sent to soldiers and their families.